Fleet management companies utilize GPS tracking systems for the range of benefits that it gives their operations. Whether the business is a waste management firm, a taxi or limousine hire, or even contractors who need several cars to operate, tracking software would always be good investments. You know where all your vehicles are. The tracking system can say a lot about the driver—you will know when your driver left with the car, how long he’s spent on breaks, and whether or not the vehicle is being used for non-work-related activities. You know whether or not the job is being done. There are specific and accurate tools like Door Opening Monitoring that can show you when or where the vehicles are being opened, which, in the right circumstances, could help you figure out whether or not the right job is being done. You can settle false complaints or claims against your company. Fleet tracking software like Trackimo is essential for when there are potential cases against your company—the location software can prove where the vehicle was at the time the alleged offence occurred—refuting any false claims before the issue goes to court. You can run the administrative side easily. Tracking systems are effective when it comes to administration, especially for companies that run 24/7 across different sites and locations. All the data can be collected and collated centrally, so any problem can be identified faster, leading to better ways of coming up with solutions. These automated tracking systems also reduce the need of staff for the backroom, saving more money for the company. It can increase driver efficiency. Knowing how much time each diver is taking during each job, the management can structure their timetable better to make better use of their time. By encouraging drivers to adopt new systems and work more efficiently, they will feel more empowered, leading them to feel more valued and keener to perform better. You can save more money. By increasing vehicle efficiency, the company can save more money. Reducing the speed of the vehicle, for instance, could save the fleet on gas and decrease the wear and tear on the vehicle, making the resale value last longer. Plus, speeding fines could also be avoided. The presence of a tracking system can significantly raise the chances of recovery, which is great news for insurance companies, which offer discounts for safe and secure driving practices. It gives a competitive edge for businesses. Pitching for businesses or renewing contracts can be difficult. However, the benefits of fleet tracking can present a competitive edge over rivals that do not have such kind of technology in their hands. 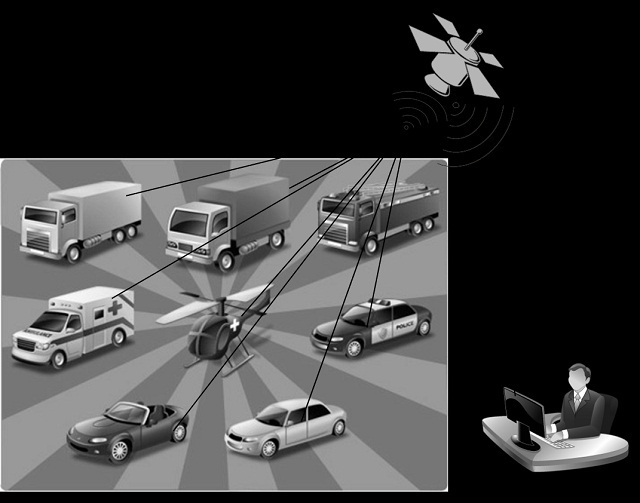 GPS tracking systems could make a real difference to a company that is managing a fleet of vehicles. Improved customer service, driver and vehicle efficiency, and better information dissemination can save the company a lot of money in the future.